Question: Can the standard Series 160 Pitot Tubes be used to sense liquid flow as well as gas flow? 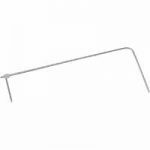 Answer: No, the standard Series 160 Stainless Steel Pitot Tubes are designed only for use with air and compatible gases. 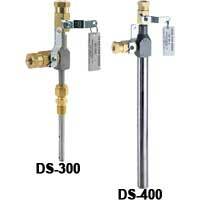 For sensing liquid flow, Dwyer recommends using our In-Line Flow Sensors, Series DS. Our Series DS sensors are specifically designed for installation in schedule 40 pipe and can be used with compatible liquids and gases. As an added convenience for liquid flow applications, these in-line flow sensors also come with shut off valves built into the total and static pressure connections. Different models are available based on the size of the pipe within which they will be installed. Dwyer also has a list of flow ranges and expected velocity (differential) pressures broken down by pipe size, media, pressure, and flow rate. It is always a good idea to review a product’s complete specifications to ensure compatibility with application requirements.